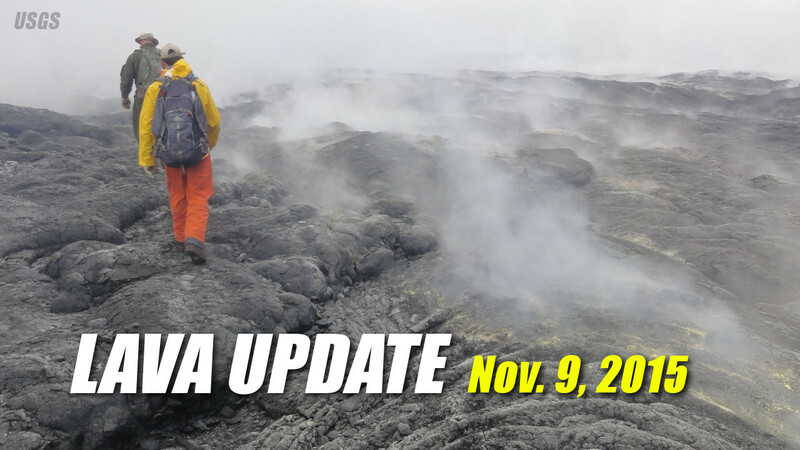 Inflationary tilt began at Kilauea summit at approximately 11 a.m. on November 8. The lava lake level has risen to roughly 60 m (197 ft) below the Overlook crater rim this morning. Mauna Loa volcano is not erupting. The most recent USGS update was issued on Thursday, Nov. 5. Activity Summary: Eruptions continue at Kīlauea Volcano’s summit and in its east rift zone at Puʻu ʻŌʻō. The summit is currently experiencing inflationary tilt and the lava lake level is roughly 60 m (197 ft) below the Overlook crater rim. 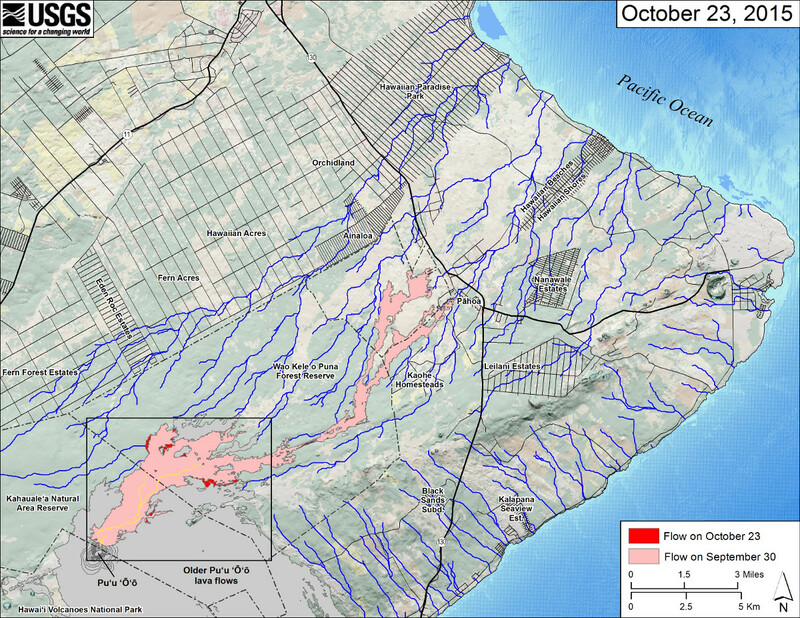 Scattered breakouts remain active northeast of Puʻu ʻŌʻō, within about 7 km (4 miles) of the vent. There is no lava flow threat to nearby communities. Summit Observations: At the summit inflationary tilt began at approximately 11:00 on November 8. Consistent with the tilt trend, the lava lake level has risen to roughly 60 m (197 ft) below the Overlook crater rim this morning. During the past day, intermittently high tremor and associated spattering activity at the lake’s surface has been occurring. Measured summit sulfur dioxide emission rates averaged 2,900 metric tons per day for the past week. Puʻu ʻŌʻō Observations: Web cam images this morning show no significant change in eruptive activity within the crater. Tilt measured at Pu’u ‘Ō’ō shows deflation, likely in response to tilt at the summit of Kīlauea. 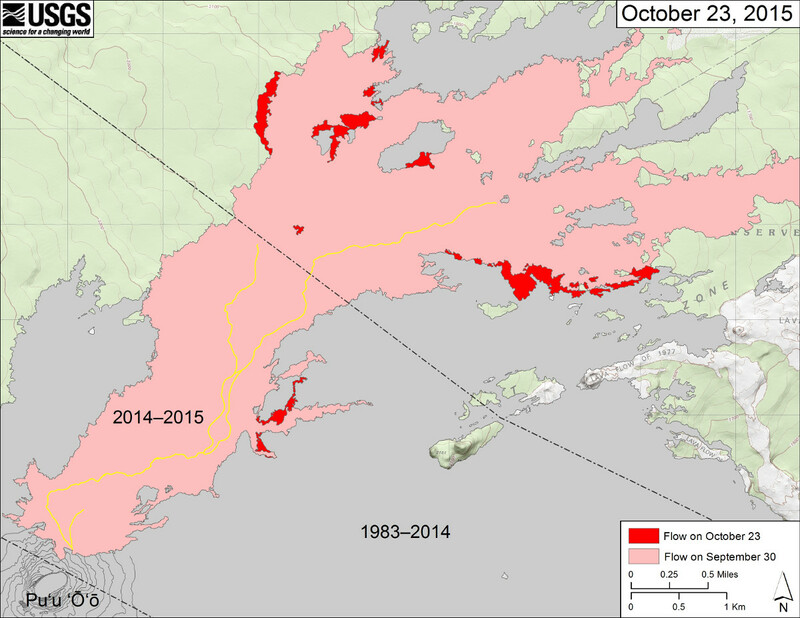 The sulfur dioxide emission rate from all East Rift Zone vents was about 630 metric tons per day when last measured on October 28, 2015. Activity Summary: Mauna Loa is not erupting. A swarm of approximately 20 small earthquakes occurred on Mauna Loa’s West Flank at a depth of approximately 8 km (5 mi). Earthquakes occurred beneath Mauna Loa’s upper Southwest Rift Zone at rates greater than background but below earthquake rates recorded over the summer of 2015. Deformation data remain consistent with inflation of magma reservoirs beneath Mauna Loa’s summit and upper Southwest Rift Zone.